Queensway Secondary claimed the championship title after seeing off Woodlands Secondary in two straight regu matches (2–0, 2–0). 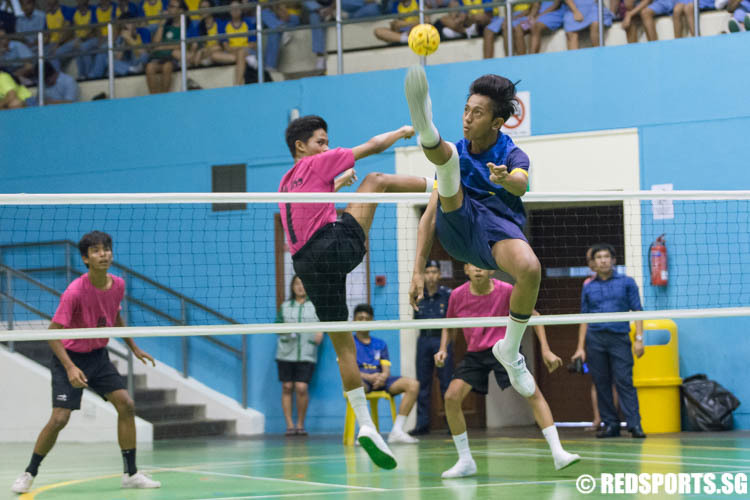 31-year-old Adillah bin Mohd Amin and eldest son, Muhd Adrianshaz, 13, both represent Toa Payoh Central CSC in Community Games sepak takraw. 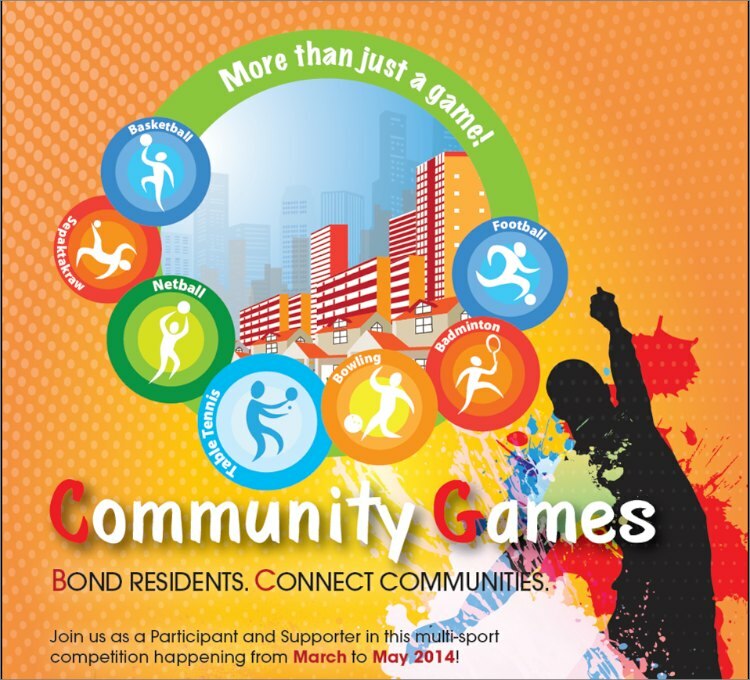 From sending in one team in 2013 to six this year, Team 9Y2 is making its presence felt in the 2014 Community Games. 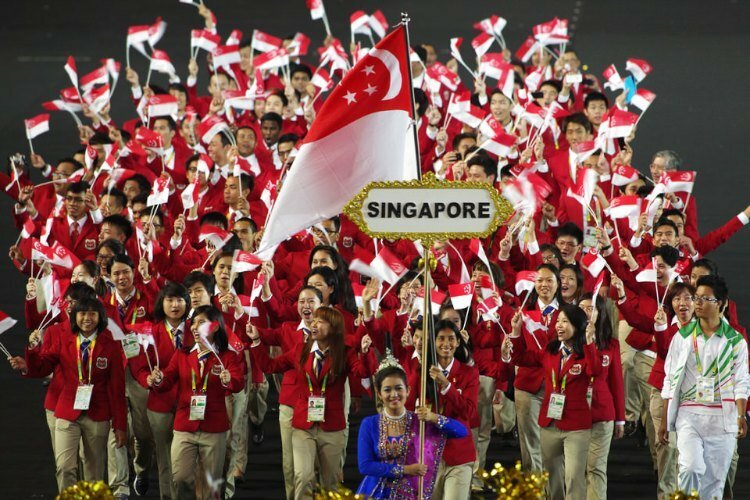 The Games will feature Badminton, Basketball, Bowling, Football, Netball, Sepak Takraw and Table Tennis. 16-year-old Mohamed Farhan Bin Mohamed Amin was clearly excited by the victory. 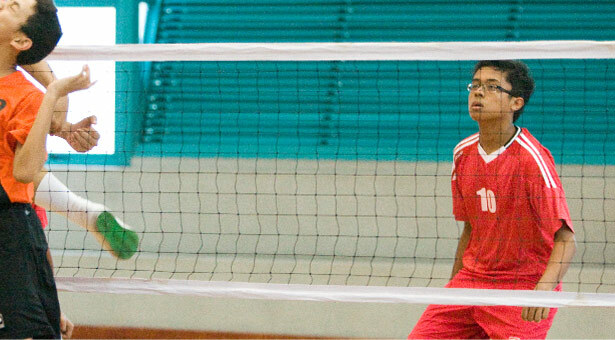 His team, Fengshan CSC, had just beaten Joo Chiat CSC 2-0 (15-13, 15-10) in the Community Games sepak takraw tournament. This was both teams' first game of the tournament. Aaron Philips looks like an unlikely sepak takraw player. 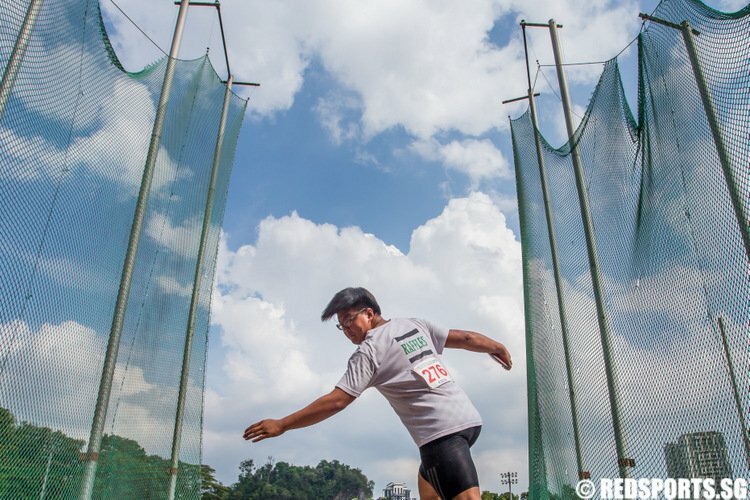 He stood out not just because of his height, but also because the sport of sepak takraw is traditionally a Malay sport. 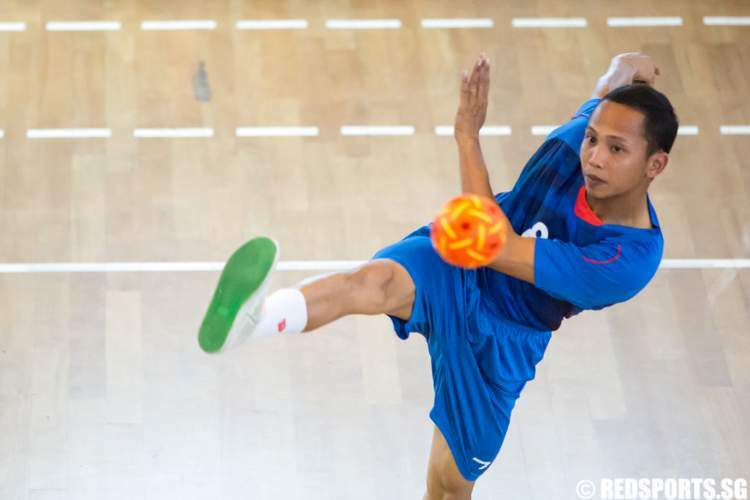 "My brother taught me how to juggle," said Muad'z Bin Mohd Rashid, 14.